We have dedicated tyre specialists who understand the importance of regularly checking your tyres to ensure they are always safe and legal, to increase the life span of the tyres and to help you save fuel. Competitive prices that are inclusive of valves, balance fitting and disposal of your old tyres. Increased stock of tyres on our shelves, so the tyre you need should be in stock when you visit, meaning you can drive away safely straight away. With two deliveries a day we can guarantee same day ordering, making sure we get you back on the road as quickly as possible. 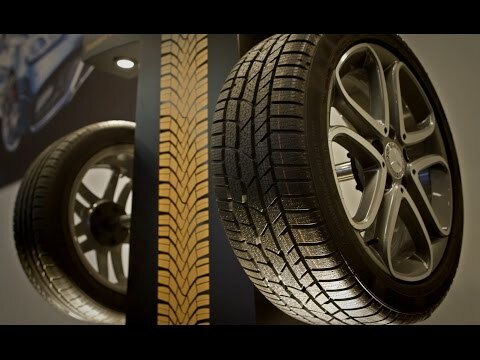 We offer all customers a free tyre check service that allows a specialist to cast a trained eye over your vehicle's tyres. They will inspect the condition of the tyre, measure tyre tread depths and check and correct tyre pressures. The findings will be detailed in a written report for your convenience. Either drive-in for a free tyre check or if you would prefer to book a time in advance give our service team a call on 01296 321733 (Aylesbury) or 01494 412064 (Beaconsfield). Nearly half of all accident claims are made during the winter months. Consider switching to cold weather tyres over the winter period, as they are specifically designed to improve traction. Handling below 7 degrees, they are proven to reduce braking distances by up to 20%, as well as increasing grip levels by up to 50% in icy conditions, reducing your risk of skidding.